ROCKAWAYS — Theodora Wilkes needed to fix the first-floor apartment of her two-family home in Far Rockaway that was wrecked during Hurricane Sandy. She decided to hire her neighbor’s contractor. First, she forked over a $6,000 deposit. When the contractor wanted another $4,000 for materials, she obliged. Then he abandoned the job without finishing. He left mold-ridden walls and dangerously exposed wires. He installed fixtures he picked up in dumpsters, tossed from other damaged homes. Another contractor told her it would cost roughly $23,000 to fix the shoddy job, said Wilkes, who is unable to afford the repairs. "This has me so stressed every day, how I let someone come and con me like this,” Wilkes said. Wilkes' situation is not unusual. Contractor fraud is rampant, say lawyers and other advocates working in neighborhoods affected by the storm. In some cases, licensed contractors give inflated estimates, get paid and then disappear before completing repairs, lawyers said. In other cases — like Wilkes’ — unlicensed contractors take the money and run. They have little to lose, since the Department of Consumer Affairs (DCA), which regulates contractors, can’t revoke a nonexistent license or fine them. 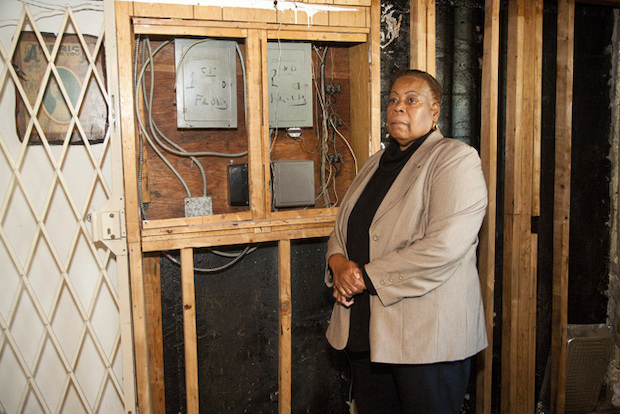 Because of these problems, many storm victims are still living in partially repaired quarters or have homes that remain uninhabitable a year after Sandy hit. “[The contractor] put on his card he had a license — which was a lie. Nobody realized it. Nobody checked,” said Wilkes, 57. Wilkes, a home-health aide forced into early retirement after Hurricane Sandy when the developmentally-disabled child she cared for moved away, continues to live on her undamaged second floor. Her 39-year-old son, who had been living in the first-floor apartment, is now staying with his sister in Pennsylvania. With the help of the New York Legal Assistance Group (NYLAG), which provides free legal services for low-income New Yorkers, Wilkes filed complaints with DCA, the Better Business Bureau and the state Attorney General’s office. NYLAG declined to name her contractor as it could interfere with the potential resolution of the dispute, lawyers from the nonprofit said. 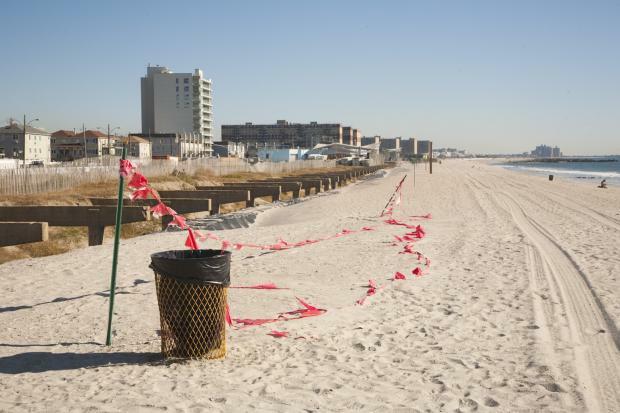 Since Hurricane Sandy, the DCA has received 600 complaints about contractors, roughly two-thirds of which were about unlicensed ones, the department's spokeswoman Abigail Lootens said. “Now that more people are in the process of making repairs, we expect this number [of complaints] may rise, and we want New Yorkers to come to DCA if they need help,” she said, stressing the importance of using a licensed contractor. Hiring a licensed worker ensures that a background check was done and also provides the added protection of being covered by the city’s Home Improvement Contractor Trust Fund for up to $20,000. Many storm victims were under emotional distress when contractors began advertising their services, said Keiko Cervantes-Ospina, an attorney with NYLAG. “What happens often, instead of best practices where you get three estimates, people were just starting to do emergency repairs and just assuming whatever insurance was paid out, the contractor would take,” Cervantes-Ospina said. But insurance companies don’t necessarily pay the rates New York City’s market commands, she said, explaining that a contractor might want $80,000 for a job that insurance would pay $40,000 for. If a repair project does lead to a bill dispute between homeowners and workers, it's the contractor who has a powerful weapon: a Mechanic’s Lien. Putting this lien on someone’s home — which is relatively easy and costs only $35 — could result in foreclosure, Cervantes-Ospina said. Once a lien is placed on a home, owners can’t sell it or hire another contractor to make repairs. “The mechanic's lien is not very difficult for a contractor to file but it’s difficult to get it removed,” said Danielle Grant, an attorney with Make the Road New York, one of several organizations working with the Center for New York City Neighborhoods to help with Sandy recovery work. Grant, who is working with homeowners in Midland Beach, has seen contractors install cabinets that don’t fit, windows that are sealed shut or, in one case, a contractor who charged a woman thousands of dollars for materials donated from a relief organization. “At least half of my clients, who are homeowners, have contractor issues,” Grant said. - Never use a contractor who isn’t licensed by DCA — call 311 or visit DCA's website to verify at nyc.gov/consumers. 311 can also transfer you to DCA for a contractor’s complaint history. - Insist on more than one reference — and check them. - Use written estimates and contracts and don’t pay the full price upfront and don’t pay cash — protect yourself with installment payments. - DCA's website has model contracts, more tips, help videos in English and Spanish, and links to other resources. - Repair loans through contractors are such a bad idea they’re illegal. - If you have any problems, file a complaint at nyc.gov/consumers or by contacting 311.